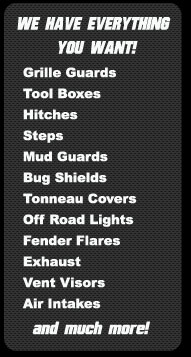 Ranch Hand Grille Guards and Full bumper Replacements sets the industry standard. 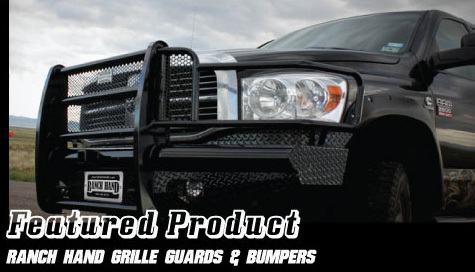 The “Legend Series” is the most popular heavy-duty grille guard on the market today for full size and mid-size vehicles. Ranch Hand combines durability and protection with sleek lines that compliment your vehicle. Standard features include custom punched grille insert, loop supports, and the highest quality black powder coat finish in the industry.